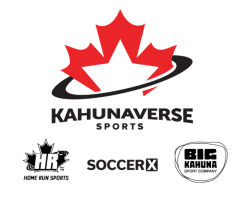 Winnipeg South End United Soccer Club (WSEU) is pleased to officially welcome Kahunaverse Sports (Soccer X) as our Official Supplier and Partner of Club gear and equipment. Their Winnipeg location at 20 De La Seigneurie Blvd, showcases products from Canada’s leading and largest soccer specialty company, Soccer Express (soccerx.com). Kahunaverse will supply WSEU with team, coach and referee apparel and equipment. We also look forward to launching our new WSEU online store this spring offering WSEU branded individual apparel and merchandise. We’d like to take this opportunity to thank past supplier and sponsor Red Card Soccer for over twenty years of service and support to our Club, district and families. More details and ordering instructions will follow after the completion of our 2019 outdoor season tryouts.